The 2018 Gulf Cooperation Council (GCC) summit is taking place amidst a changing balance of power between the two sides of the Gulf crisis. Stalemate of the Gulf crisis has entered a new phase as a result of unexpected political changes in the region. This time however, Qatar has arguably adjusted to the economic and psychological impact of the initial blockade. Meanwhile, it is due to this very adjustment that the quartet (KSA, UAE, Egypt and Bahrain) does not retain the same level of control it once had over the blockade’s outcome. Emergence of these new conditions is coinciding with the annual GCC summit planned to take place this weekend Riyadh, with the uncertain attendance of the Emir of Qatar Sheikh Tamim Al Thani being marked as a key indicator of the crisis’s likelihood to either conclude or continue. As the suspense grows, the likelihood of the Emir’s attendance will probably rest on two factors. First, his odds of appearing will be increased if Doha receives signs from Riyadh and Abu Dhabi that the Emir’s attendance will result in an end of the blockade. A scenario making it less likely that the Qatari Emir will attend is if Qatar decides to wait for recent international pressure on the blockading states to end the crisis. This increase in pressure has come due to the renewed examination of the region brought about by the political implications surrounding the murder of Jamal Khashoggi, which brought the war in Yemen and the Gulf crisis under international scrutiny. Once again, the summit’s meetings will be overshadowed by the ongoing rift, which is also likely to once again remain as an unacknowledged ‘elephant in the room’. Both the level of attendance, as well as the likelihood (or lack thereof) of an appearance by the Qatari Emir leaves room for two possible outcomes. The first scenario would occur if the Qatari Head of State travels to Riyadh. If his visit comes to fruition, King Salman and the Emir would likely meet, thereby symbolically reducing the Gulf crisis’s tension. Any attendance by Sheikh Tamim will probably be linked to guarantees from KSA and UAE that the Emir’s presence would result in solutions to the crisis that do not include any of the original ‘Six Principals’ that Qatar has already rejected as a breach of its sovereignty. However, proponents of this outcome should be wary, as a tweet sent by the Bahraini Foreign Minister saying that the crisis will not be resolved with simple “hugs and kisses,” casts doubt on those looking for a swift conclusion to the crisis. Alternatively, the second scenario would possibly see each GCC head of state attending with the notable void left by the Qatari Emir (and the usual absence of Sultan Qaboos). Recent events have arguably made this outcome more likely due to circumstances that have allowed Qatar to interpret the trajectory of the crisis as lining-up with means to end the rift that are favorable to Doha. Over the last few weeks, there has been increased international pressure on KSA and UAE to conclude the crisis in a way that respects Doha’s position of starting a dialogue. An influential factor contributing to these changing circumstances was the murder of Saudi journalist Jamal Khashoggi, which opened up Pandora’s Box for the Saudis both in Congress and in Western media. Although unrelated to the murder of Khashoggi, the backlash has resulted in Washington renewing a critical review of the Yemen War and the blockade of Qatar. Subsequent congressional wrist-slapping has included a Senate Resolution formally placing blame on MbS’s shoulders for a variety of perceived regional abuses. Also, what could make this second scenario feasible is the increased pressure applied by KSA’s Western allies. Saudi Arabia’s partners want the Kingdom to wind down the growing list of regional troubles for which the USA and Europe ascribe blame to Saudi leadership. 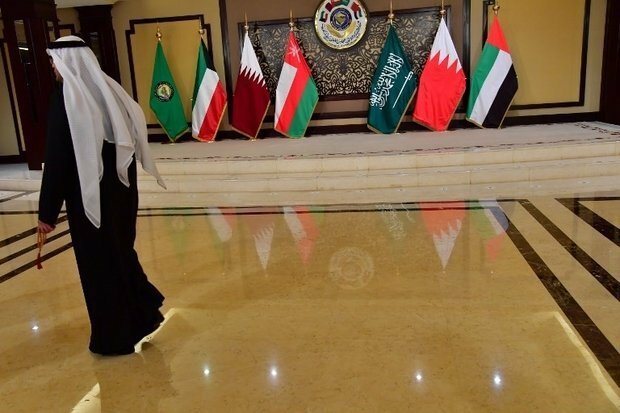 While it is premature to speak about the outcome of the summit, the survival of the GCC remains crucial for the national security of the Arab Gulf states. During its lifespan, the council was able to overcome significant challenges to serve the objectives of its establishment, rightfully granting it the status of the most effective bloc in the entire region. Not only taking place amidst the Gulf crisis, the upcoming summit is also occurring alongside other tensions involving the observing GCC states of Kuwait and Oman. The development of bilateral alliances within member-states has necessitated that member nations feel pressure to ensure their own security. Some of the Arab Gulf states are now run by a different generation than that of the institution’s founders, a shift replete with different challenges and new regional and international conditions. Initially founded mainly for security reasons, recent events have significantly fractured the regional entity. The upcoming Summit in Riyadh comes at a very sensitive time in which even the remaining senior leaders are struggling to keep the Council viable. If the summit is held with a low representation from Qatar and/or fails to address the major issues of concern to the member states, hopes for reviving the organization’s vital regional role will be damaged. As a result, this will likely force the creation of alliances outside the GCC’s original purview, nearly forcing members to scatter to different, and possibly opposing camps.